Uncertainties Have Become Our Ally! 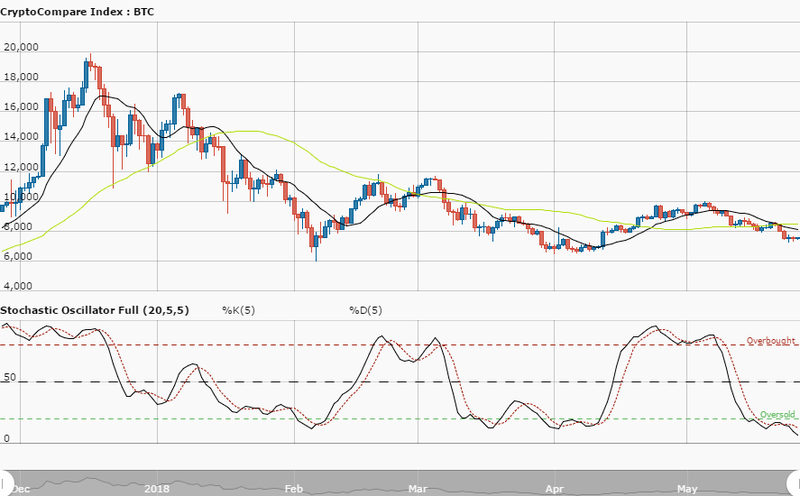 Yesterday, 30 May, the ETHUSD pair was in a bullish market. Ethereum had established itself above the $550 price level. Meanwhile, the MACD line and the signal line were above the zero line, indicating a buy signal. Also, the price was above the 12-day and 26-day EMA indicating that the bullish trend was ongoing. Ethereum is currently trading at $569.10 at the time of writing. Nevertheless, today, the Ethereum price is sustained above $550. The asset price is fluctuating between $550 and $600 since 29 May. Meanwhile, the MACD line and the signal line are above the zero line, indicating a buy signal. The Ethereum peice is above the 12-day and the 26-day EMA, indicating that the bullish trend is ongoing. However, since the asset price has been sustained above the $550, traders should initiate long orders above that level. The daily chart shows that Ethereum is in a bullish market although the MACD line and the signal line are below the zero line, indicating a sell signal. The asset may reach $600 if the resistance level at $570 is broken. 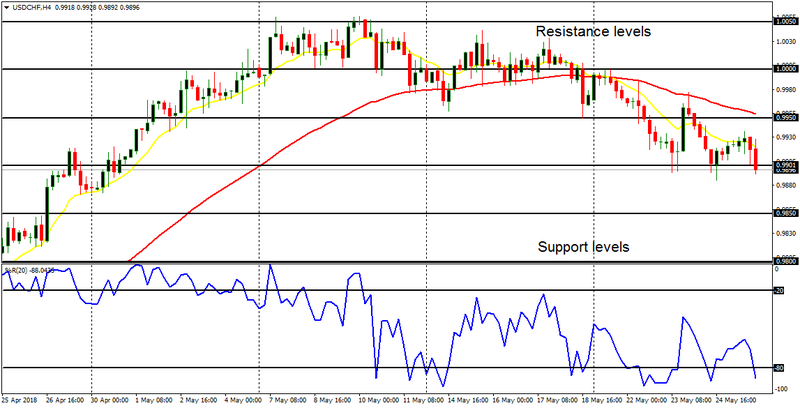 On 24 May, the Bitcoin price broke the support level at $7,500 after several days of fluctuating below and above that level. The asset fell to $7,127 and resumed a range-bound movement. The range-bound movement resulted in a bullish breakout above $7,500. The asset was trading at $7,548.60 at the time of writing. 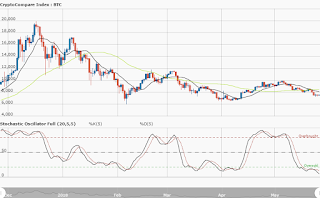 Today, the weekly chart shows that the Bitcoin price attempts to establish itself above the $7,500 level. A bearish trend line is drawn across the price bars, to determine the end of the bearish trend. On 29 May, the Bitcoin price has broken the bearish trend line and the candlestick closed on the opposite of the trend line. The asset was also in a bullish movement above $7,500. This implies that the bearish trend may have ended. However, if the price consolidates and establishes above the $7,500 level, traders can initiate long trades. On the daily chart, the Bitcoin price is in a bullish trend. The bearish trend made the asset fall to $7,100. After the price consolidated at $7,100 for two days, it made a bullish movement to $7,400. It was at that price level that the asset made its way above $7,500. A “buy” signal has been generated on Versarien stock (LSE:VRS) as there has been a bullish breakout in the market. The market was bullish in December 2017 and January 2018. Then it became bearish from February 2018 until May 2018. However, this May, there has been a rally that brings about a bullish bias on the market. Price is now above the EMA 21, and the Williams’ % Range period 20 is in the overbought region. Since the signal on VRS is bullish, further rally is expected. Immupharma shares (LSE:IMM) gapped downwards massively in April 2018, and it has moved sideways since then. The ADX period 14 is at the level 40, showing the seriousness of the ongoing bearishness in the market. DM- is below DM+, meaning bears really have upper hands now. The MACD default parameters, has its histogram and signal lines below the zero line. There is a Bearish Confirmation Pattern in the market, and when a breakout does occur, following the current consolidation, it would most probably be in favor of bears. IMM is supposed to go further and further downwards when a directional movement returns to the market. Distribution territories: $570.00, $580.00, $590.00. Accumulation territories: $550.00, $540.00, $530.00. Ethereum had been significantly suffering from the strength of the US dollar. ETHUSD yesterday declined sharply in value up to the point of touching the accumulation territory of $500.00. The buyers managed to stage a good come-back into the market play while a decent Japanese bullish candlestick was formed above the trend-line of the 13-day SMA. The buyers have moved the market value up to the point of touching the distribution territory of $570.00, today. The sellers’ strength has now been weakening against the buyers’. The 13-day SMA has crossed the 50-day SMA from below. 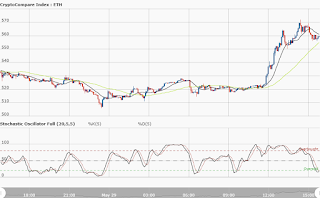 The Stochastic Oscillators have crossed the range of 20 into the oversold zone but now point northwards. The current sudden upward stride in the market movement of ETHUSD is expected to continue giving more strength to the buyers. The sellers will now probably find it necessary to exercise a kind of precautionary bias of placing or entering the trades. This USD/CHF is bullish in the long-term, and bearish in the short-term. Last week, price turned southwards, testing the level at 0.9900 several times and eventually closing below it on Friday. 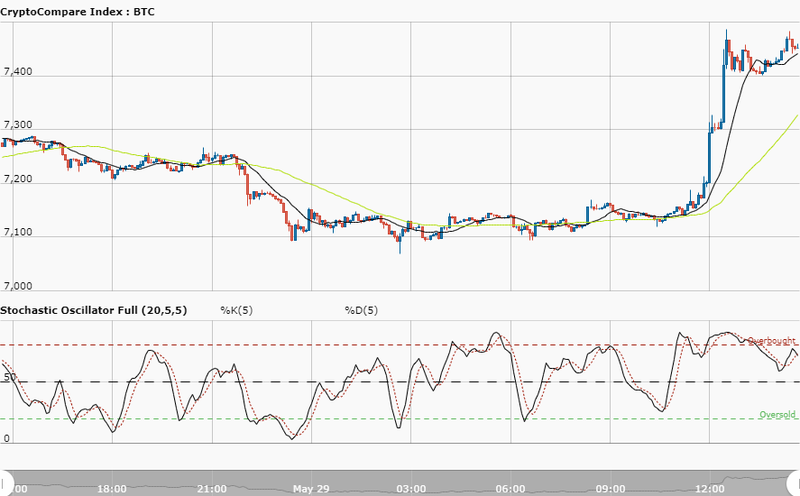 One reason why the market became bearish in the short-term is the strength in CHF. CHF still strong, as evident on major CHF pairs. The market can thus reach the support levels at 0.9850 and 0.9800, thereby erasing the long-term bullish outlook on the market… Short trades are not currently advisable as further bearish movement is a strong possibility. The trend on the USD/JPY is also bearish in the short-term, but bullish in the long-term. 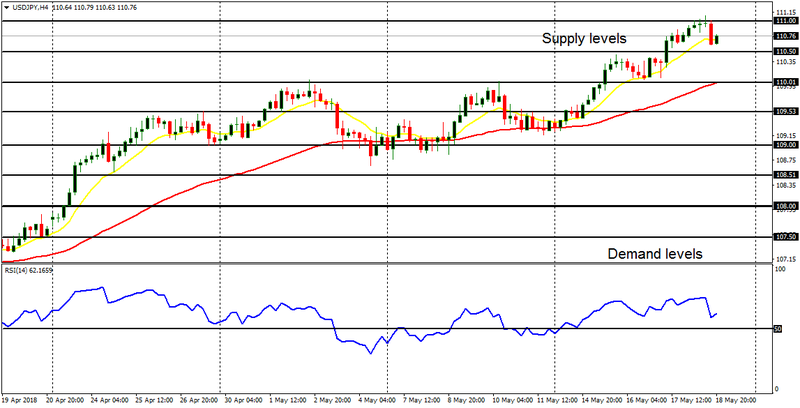 From the high of last week, price went downwards by 230 pips, to test the demand level at 109.00, closing above it on May 25. 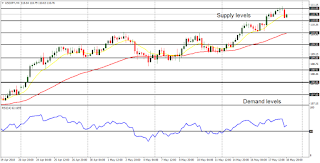 Further bearish movement is expected this week, and this may affect the long-term bullish bias, as the demand levels at 109.00, 108.50 and 108.00 are aimed, for there is a considerable stamina in Yen. There is now a Bearish Confirmation Pattern in the market (4-hour chart). There is a “sell” signal in the market. Here, the downwards movement that happened last week has put an end to the recent sideways movement that was seen in the market. From May 9 to 22, the market consolidated in the context of a downtrend, and at last, there was a breakout in favor of sellers. This has really put more emphasis on the Bearish Confirmation Pattern in the market, coupled with the weakness in EUR. This week, the demand zones at 127.00, 126.50 and 126.00 may be reached. There could be occasional upwards bounces along the way, but price is expected to continue going downwards. There is now a Bearish Confirmation Pattern in the market. Distribution territories: $11,000.00, $12,000.00, $13,000.00. Accumulation territories: $6,000.00, $5,000.00, $4,000.00. Bitcoin has been continuously witnessing a downward slide against the US dollar this week. The last time that the pair made a slight high was on May 20. The bears have had a greater advantage on the market over the bulls over the past few weeks. The major critical territory the pair is believed not to easily break remains the immediate accumulation territory of $6,000.00. The cryptocurrency’s price only touched it on February 6. The 13-day SMA has briefly crossed the 50-day SMA. Both moving averages are a bit above the distribution territory of $8,000.00, whilst price is currently averaging towards the accumulation territory of $7,000.00. The Stochastic Oscillators have breached past range 20 in the oversold zone suggesting the bearish trend is soon going to end. The market behavior is still expected to see the bears push harder than the bulls. Current possible foundational territories within which strong catalysts can be obtained for a bullish reversal are the accumulation territories of $6,000.00 and $4,000.00. Investors can probably lookout for a reversal from the bearish movement to go in, but traders can possibly watch out for a sudden breakout of either the accumulation territory of $7,000.00 or distribution territory of $8,000.00 to join in the direction of the breakout trend with the use of fund management rules. There is a very strong Bearish Confirmation Pattern on EURUSD. Price went southwards by 100 pips last week (it has gone south by almost 750 pips since April 19). The line at 1.1650 has been tested and breached to the downside, slightly. This week, further bearish movement is a possibility, and the support lines at 1.1600 and 1.1550 can be reached as well. However, there is also a possibility of a bullish reversal before the end of the week. This trading instrument is bullish in the long-term, and bearish in the short-term. Last week, price turned southwards, testing the level at 0.9900 several times and eventually closing below it on Friday. One reason why the market became bearish in the short-term is the strength in CHF. CHF still strong, as evident on major CHF pairs. The market can thus reach the support levels at 0.9850 and 0.9800, thereby erasing the long-term bullish outlook on the market. This pair went southwards last week, closing below distribution territory at 1.3300 on Friday. Price shed almost 170 pips last week, and it has shed 1,050 pips since April 17 (an ideal market condition for trend followers). The GBP remains very week, and it is not advisable to seek long trades here, except to go short on rallies. 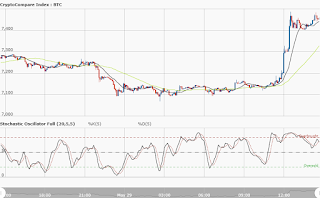 The market is expected to lose at least, additional 150 pips this week, reaching the accumulation territory at 1.3150. The trend is also bearish in the short-term, but bullish in the long-term. From the high of last week, price went downwards by 230 pips, to test the demand level at 109.00, closing above it on May 25. 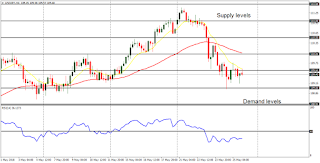 Further bearish movement is expected this week, and this may affect the long-term bullish bias, as the demand levels at 109.00, 108.50 and 108.00 are aimed, for there is a considerable stamina in Yen. The downwards movement that happened last week has put an end to the recent sideways movement that was seen in the market. From May 9 to 22, the market consolidated in the context of a downtrend, and at last, there was a breakout in favor of sellers. This has really put more emphasis on the Bearish Confirmation Pattern in the market, coupled with the weakness in EUR. This week, the demand zones at 127.00, 126.50 and 126.00 may be reached. The bias on GBPJPY is bearish and it should continue to be bearish. GBP is weak and JPY is strong. Besides, there was a huge drop of over 450 pips last week, slashing more and more demand zones as bears rejoiced. Since April 17, more than 800 pips have been shed, and this just seems to be the beginning, as stronger bearishness is anticipated. At least, another 200 pips would be shed this week. Tlou Energy shares (LSE:TLOU) are a ranging market, which would preferably be called a lone ranger. The sideways movement will continue for some time, and it would eventually result in a serious breakout. Price made a bullish effort in January 2018, dropped precipitously in February, and began to consolidate. The market has been ranging since then. 4 EMAs are used for this analysis and they are EMAs 10, 20, 50 and 200. The color that stands for each EMA is shown at the top left part of the chart. All the EMAs are flat, denoting a ranging market. The ranging movement is so tight to the extent that price has already formed a base. A breakout is imminent, which would eventually happen. But this time around the breakout would most probably be in favor of bears. Forbidden Technologies shares (LSE:FBT) are currently weak, at least in the short-term. Price went upwards considerably in March and April 2018, and then began to come down at the end of April, and it is currently ranging. The ranging action is a very short-term thing, because a “sell” signal has already been generated in the market (since price has moved below the lower Trendline). 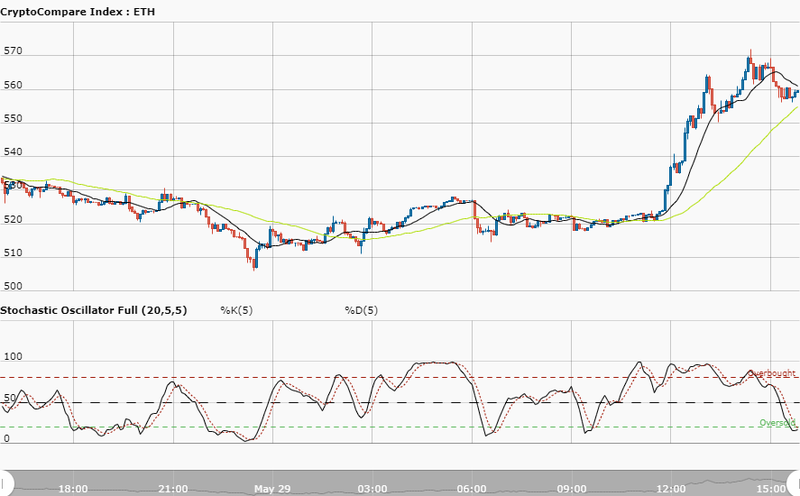 The RSI period 14 is below the level 50. FBT is expected to go further and further southwards this year, reaching the demand zones at 5.00, 4.00 and 3.00 within the next several months. The USD/CHF is bullish in the long-term, but neutral in the short-term. Price has been consolidating in the past two weeks; whereas that is not strong enough to render the recent bullish bias useless. There is going to be a breakout at last, but the movement to the upside will no longer be a serious thing. While USDCHF is supposed to go upwards, there would be a challenge to the upwards move, because CHF is expected to gain serious stamina this week (major currencies will drop versus it). This means that the coming strength in CHF may hinder USDCHF from getting seriously pushed further northwards. The bias on the pair is still bullish. The bullish movement that was witnessed last week has saved the ongoing bullish bias in the market. The bullish movement started in March 2018 and it has held out till now. 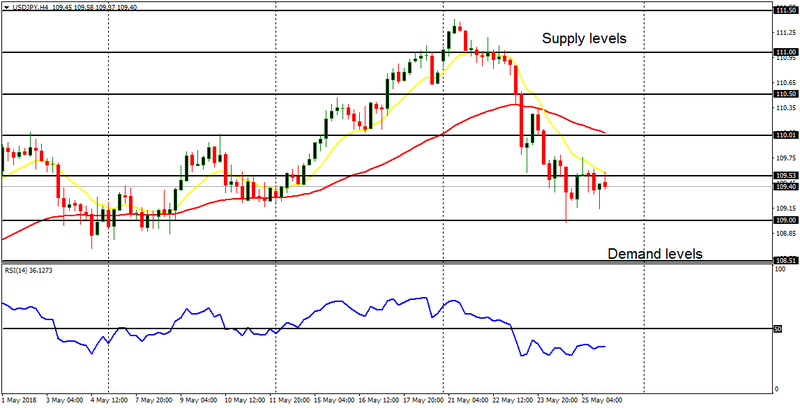 The supply level at 111.00 was tested before price closed below it on Friday. The JPY may be weakened further this week. There is a Bullish Confirmation Pattern in the market, which makes short trades not yet advisable. This week, there is a high probability that the market would continue going upwards, reaching the supply levels at 111.00, 111.50 and 112.00. The EUR/JPY has failed to go seriously upwards like its USD/JPY counterpart. The bias on this cross is bearish, but it is a precarious bias. What the market did last week was a zigzag movement without a clear directional propensity (although the general outlook still remains bearish). Price moved upwards, downwards, and upwards again, within the supply zone at 131.50 and the demand zone at 129.50. A 200 –pip movement to the upside or to the downside would easily change the bias to bullish or bearish, and that is exactly what is expected this week.